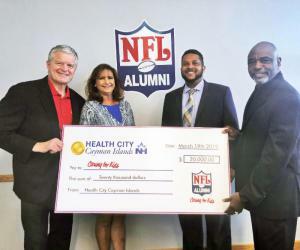 Left to Right: NFL Alumni President Bart Oates, Health City U.S. 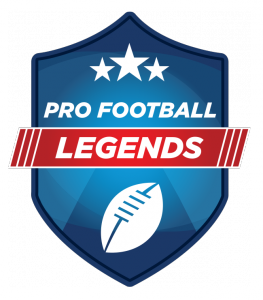 Sales & Marketing Specialist Mary Jones, Health City Director of Business Development Shomari Scott, and NFL Alumni CEO Beasley Reece. 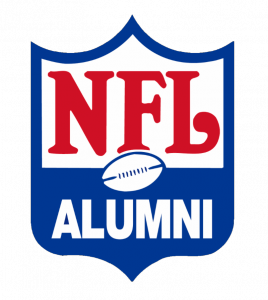 MOUNT LAUREL, NEW JERSEY, UNITED STATES, April 7, 2019 /EINPresswire.com/ -- Health City Cayman Islands is supporting NFL Alumni's (NFLA) charitable mission with a $20,000 donation to its "Caring for Kids" program.